With a global footprint and a skilled workforce, Fastcomm aims to constantly build niche technologies in a disruptive way through defendable intellectual property (IP) that has both need and value in an ever-changing technological world. We value the unique relationship between technology and people, and strive to expertly enable the linking of people, places and things using our customizable technology platforms. Our primary focus is on creating symbiotic relationships between businesses, partners and their customers using these technologies to enhance their journey together, by ensuring meaningful interactions and leveraging the best opportunities. To do this we use a modular approach to add various components together to form a solution. Our solutions are readily available for businesses and their customers. They are scalable and extendable with the ability to handle high volumes of traffic and are suited for all business sizes. Due to this we have successfully empowered numerous businesses globally to solve challenging problems by using our solutions to revolutionise their business practices. 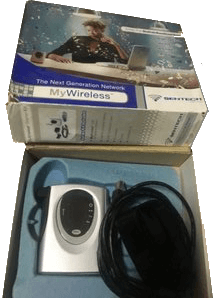 Fast Communication Systems (Pty) Ltd is incorporated and its main aim was to be at the forefront of wireless data technology. This was achieved by becoming the first company to roll out a national UMTS network (3G) globally. Pursuing key vertical opportunities help Fastcomm become market leaders in the IoE industry solving problems and changing people’s lives. We rebrand in 2012 in line with our new strategy. New offices, new product launch! 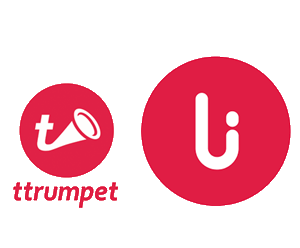 We relocated our offices to Cape Town, launched ttrumpet (now called Link) an Instant messaging platform that allows consumers to Message, Call and discover a host of lifestyle services. A global platform across 140 countries. Launched hi.guru subsidiary company with hi.guru. A product that seamlessly consolidates conversations across different messaging channels and augments the conversations through powerful AI technologies. Founder of the Bright Group, focusing on private equity and venture capital. Co-founder of the Bright Foundation. Frank serves on many boards and is currently chairman of Strauss & Co. Founding member and Executive Director of Fast Communication Systems (Pty) Ltd, Special. Advisor to the Mandela Cabinet in 1995 – technology in government. Technology visionary and operational leader. Expert in telecommunication protocols & systems, network management solutions and mobile application development. Thought leader and strategist to the group. Previously held executive positions at UUNET and Sprint. Founder and former CEO of Keystream AB. 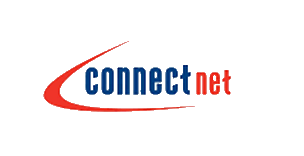 Over 25 years’ experience from system development in the telecom industry of which the last 10 focusing on VoIP solutions. Passionate about improving customer engagement with 15 years+ expertise in solution design, market analysis, measurement and all things customer experience related. Solution architect and software development head. Development of Enterprise Telecommunication and Mobile solutions; Network Management Design and Implementation. Seasoned business executive with over 20 years’ experience in executive positions in both the public and private sector in SA. Oupa currently serves as Exec Chairperson to CZ Electronics. Founder member of Fast Communication Systems (Pty) Ltd. Legal practitioner and businessman. Janet has been with Fastcomm for 15 years and has over 25 years’ experience in H.R. , Corporate governance and Secretarial management. Thought leader and strategist to the group. Previously held senior positions at UUNET and Sprint.